13 admitted at Narok Referral Hospital due to tribal clashes ongoing in Narok South – Kenyatta University TV (KUTV). All Rights Reserved. 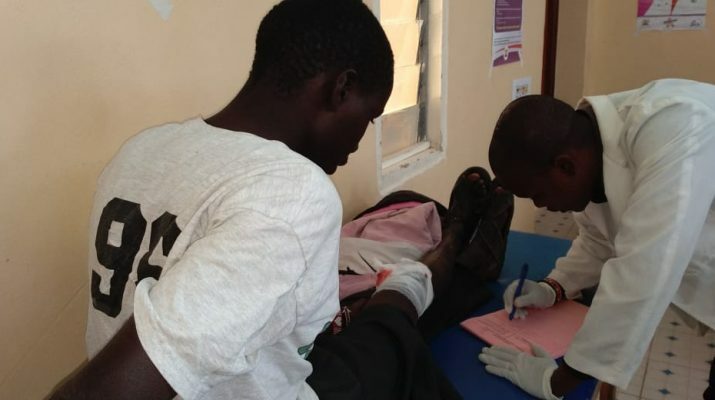 More than 13 people have been admitted at the Narok Referral Hospital with serious arrows injuries following tribal clashes that are currently happening in Narok South Nkoben, Olemekenyu and Ololunga Areas since yesterday. According to one of the victims, Patrick Letin who has an arrow lodged in his ankle, the area is not safe and the attacks amongst the two tribes are ongoing calling on the government to deploy more officers to calm the situation. Yesterday, Narok North Ronald Mwiwawi called on the two tribes to calm down and embrace peace since the government is putting efforts in trying to recover livestock stolen after one herder was murdered which has led to all this where live has been lost and more than 20 houses torched upto now. Narok County Commissioner George Natembeya has been forced to cut his leave short to come and calm the situation. The General Service Unit has been deployed to calm the situation.